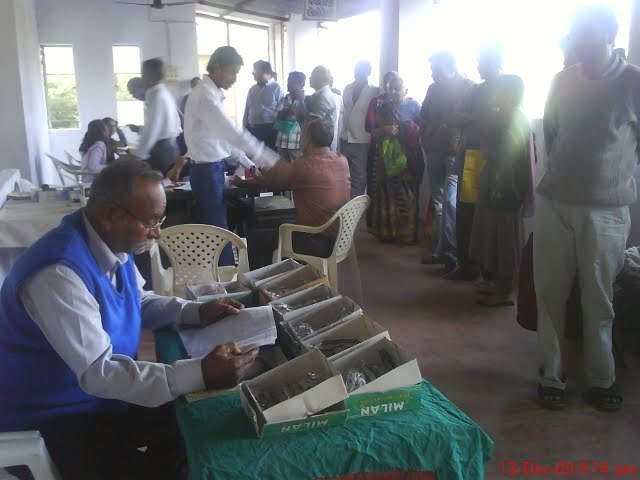 This is the Eye Department in our Free Medical Camp at Manav Parivar, Matar. A person sitting with glasses in box is one of the volunteer. He is the one responsible for the giving of the eye glasses for those patients who needed. They have eye glasses from 4 to 12. The organization gave it for free. The people standing there were all patient who were waiting to get their turn to be check up. They have a lot o supplies for everyone.